from all members of staff. Our centre manager was very organised in ensuring that everyone knew what they were doing and felt confident to do so. wanting to be a coach in the future. I first contacted UKLC shortly after finishing my CELTA in early 2014. They were looking for new teachers to go on a month-long 'Leonardo' work experience placement in Spain. I thought it was too good to miss! In no time at all I was on a week-long residential training course in Cheshire and soon after that in Spain itself, in Elche (Alicante), where I had a wonderful four weeks teaching full time in a language academy. I pretty much worked out there and then that was where my future lay. I made some great friends too! On returning to the UK I worked for UKLC for four weeks in their York summer school, which was great fun. This summer I worked in York again and also in Southampton. UKLC very much treat you as part of their 'family'. I would strongly recommend UKLC. goals I also have to thank UKLC for some unforgettable memories. The past three years have given me some amazing new friends, some who return every year and become like family. I clearly remember my first day as a Centre Manager. I was loaded up with paper after paper by the college, keys, keys and more keys, and I had so many new places to familiarise myself with. What got me through those days was knowing that, at any moment, I could speak to Celine or Nathan and they would always be there to listen or advise. Although centre managing requires a huge amount of independence, I have never once felt I was on my own. The thing that initially drew me to UKLC’s summer school was its promise to be ‘a friendlier kind of summer school’. I confess I was initially skeptical, thinking that this claim might be mere marketing platitude, but all my years working with UKLC have borne this claim out. It really is an extremely friendly environment to work in, with mutual respect running from the top of the organization and encompassing everyone involved, UKLC staff, students at the schools, group leaders and the staff at the centres. Working for UKLC has always been a pleasure. It feels almost wrong to call it work, considering that you get paid to have fun and spend time with genuinely good people. No matter which role you take at the company, there is a spirited sense of togetherness. I started working for the company as an Activity Leader at a summer school. Later, I took advantage of the fantastic opportunity brought about by the Leonardo Project, which allowed me to gain work experience as a teacher in Spain. This gave me the confidence and expertise to work for UKLC as a teacher at two different schools in England. All of these experiences have exceeded expectations whilst making me realise that hard work needn't feel like hard work. I first worked for UK Language Courses at Queen Anne’s school in Reading in summer 2017. I had recently completed an online course in Teaching English as a Foreign Language so I was keen to put my qualification to use. I enjoyed working for UKLC in 2017 because it was my first experience of teaching English and I loved it and it inspired me to undertake further advanced TEFL courses. In summer 2018, I returned to work for UKLC at Queen Anne’s again. I have enjoyed my work with UKLC because of the support from senior members of staff, as well as the opportunity to meet lots of new people – students and staff alike. I was also able to teach a variety of lessons and gain valuable teaching experience which I am certain will be helpful when I eventually move to China to begin a career in teaching English. The effective management of the centres and teachers has enabled me to focus on my relations with the students. A flexibility that allows me to reflect the mood of the class onto re-engaging with the students. As a teacher, establishing a pleasant rapport with all my students, turning a lesson interesting is what has made me come back. UKLC stands out to me because it’s a company that cares for its staff in so many ways. You really are part of a family when working for UKLC. It is very well organised! This year I’ve taught several mini stays (St Albans & Colindale) as a Teacher/Excursion Leader and returned to the UK in the summer to work as a Full Time Teacher at Chichester University and Kings College, London. UKLC ensures that students have as much fun as you can pack into a short visit, while improving their English. The curriculum works well and there are plenty of colleagues around to help, give advice and offer ideas. Classes and activities are designed to be fun and engaging, and every member of staff is encouraged to bring their personality and enthusiasm into the classroom. There are highs and lows, of course, but I’d certainly recommend working for UKLC at a summer school or ministay. It’s not easy to pick a single highlight but, for me, it has to be the people - fellow teachers, excursion leaders, sports staff, group leaders and students - who helped me realise that there are so many paths to take, places to see and new folk to meet. 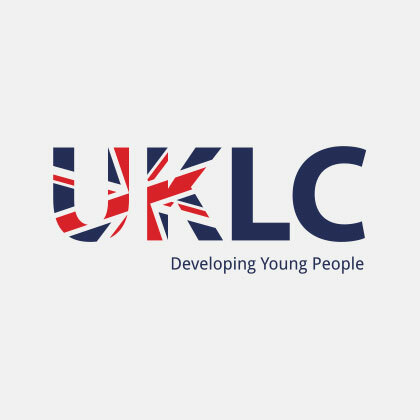 After all the positive feedback and personal recommendations that I had received, I was delighted to be UKLC’s ‘Safeguarding and Welfare Coordinator’ in York and Chester this summer. I am particularly impressed by the team work and acceptance of diversity in both centres. My main task was to help ensure that students (and staff) stayed safe, healthy and happy. I also enjoyed being a go-to person and a link between wonderful students, Group Leaders and staff. Preparation and training, including First Aid and updates on Child Protection, were excellent and always highly relevant. As a qualified and experienced languages teacher I also appreciated being given the opportunity to teach on the Ministay courses in September, which were extremely well organized. It’s was my first year working with UKLC and my first time teaching full time. It was rewarding in every way. The support from the vastly experienced team and the environment created was one I immediately knew I could thrive in. The team at both sites I worked, Chichester and London, became a family and I made some great friends in the process. I’d recommend it to anyone with a passion for teaching because this is the place to flourish.